A few years back, after one of my backpacking trips out west with the bro and pops, I went to the local REI to check out some gear. While I was looking at some hiking boots, I saw a small picture with a quote on it. Ya know, it was one of those sweet pictures out in the middle of the wilderness, nothing but nature in all its glory. And beside the photo there was a quote that read, “It’s very humbling knowing you have your life on your back.” As I read this, I just began to imagine it. How incredible that would be. For years now, I have honestly thought of that quote more than any other. I grew up a sports guy, 24/7 just a sports nut. I’ve had all those inspirational quotes that have made me work harder and dream bigger. From Vince Lombardi to Herb Brooks, quotes I would memorize and recite while working out or practicing. But I mean this one, the one I saw on a little 7×11 at REI, in the shoe department, that’s the one that has hit me hardest. So fast forward a few years, and guess what? 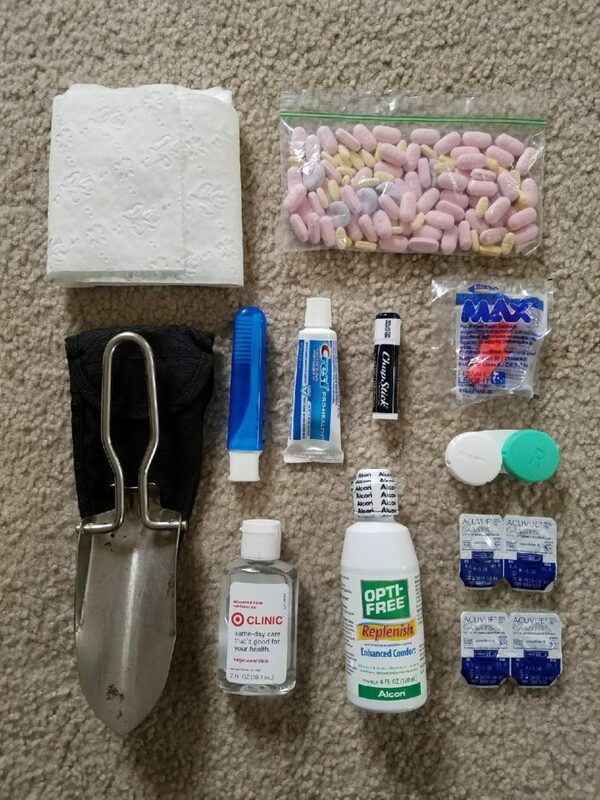 I am gearing up (literally) to live out of the pack I am going to carry on my back. This is what will be accompanying me and weighing me down as I attempt to walk from Georgia to Maine. 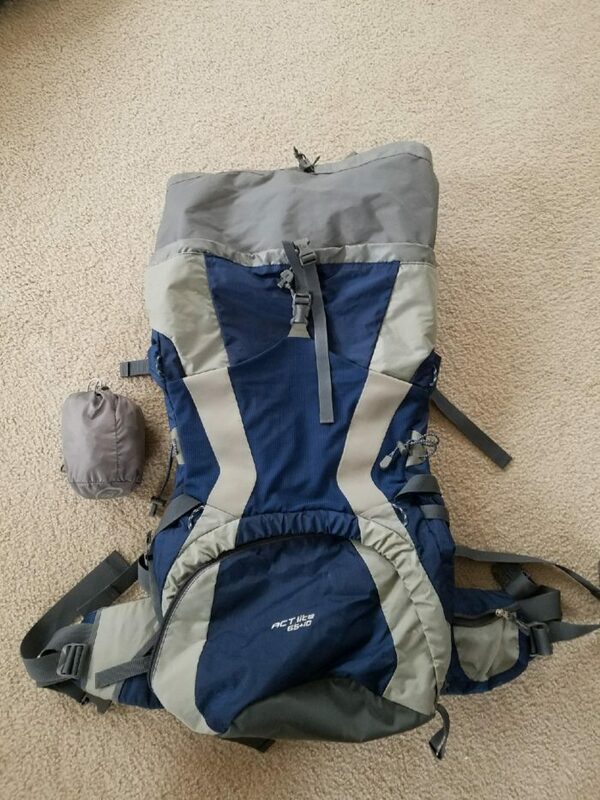 Deuter ACT Lite 65 + 10 – This may be a bit bigger and heavier than needed, but I absolutely love this pack. Also bringing a rain cover that I reckon will get a good bit of use. 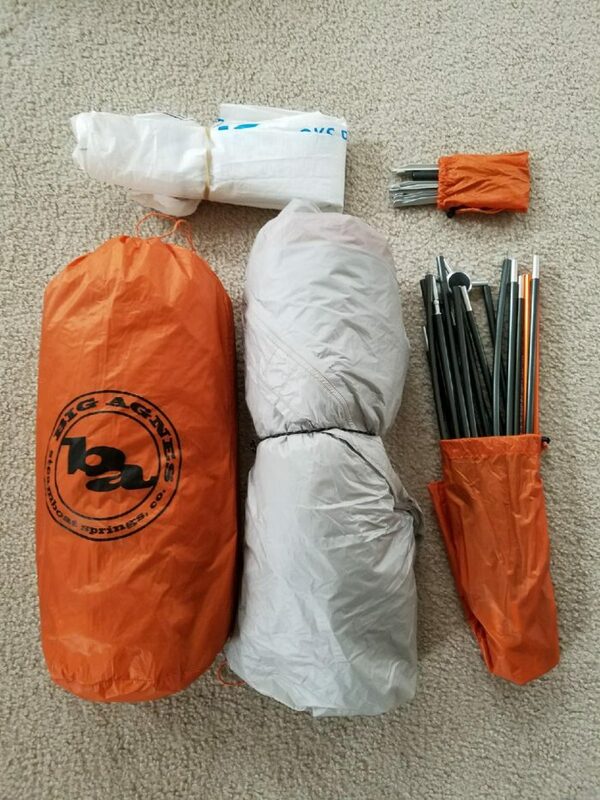 Big Agnes Copper Spur UL 2 HV – Love Big Agnes tents and the Copper Spur didn’t take long to win me over. 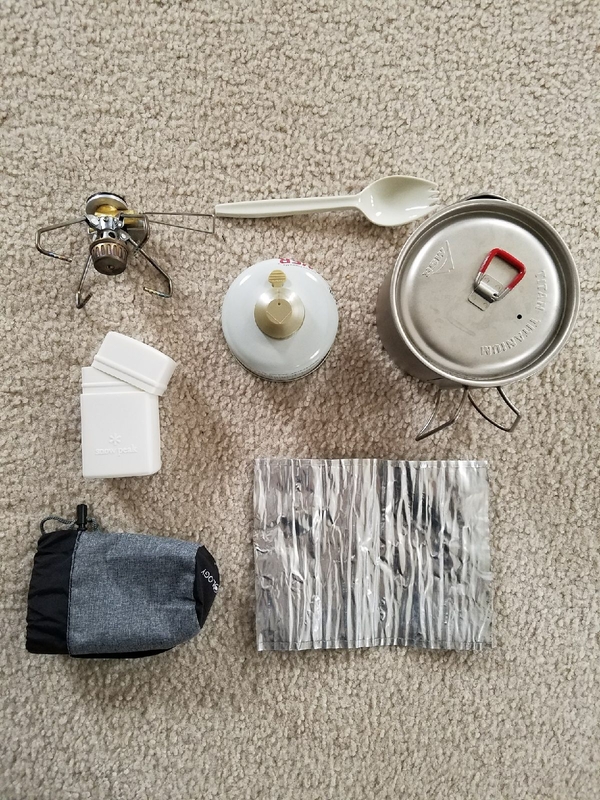 Quick setup and tons of room while still being one of the lightest tents out there (sub three pounds). I waited for it to go on sale, scoring a pretty good deal and then made my own footprint, which made it very affordable. Regardless, don’t mind the price tag considering I will be living out of it for the next few months. I have an older sleeping bag from my first backpacking trip years ago. The Marmot Cloudbreak 30 still does the job, though these first few months will still be chilly at night. Rather than getting a new bag, I am just adding a sleeping bag liner to give me a bit more warmth. I do plan on sending it home when it starts to warm up, though I could hang on to it and use it as a lightweight sleeping bag this summer, sending my heavier, bulkier bag home. For a sleeping pad, I am going with the Therm-a-Rest NeoAir Xtherm. Was looking for a lightweight and packable pad and the Xtherm is just that (15 ounces, 11 x 4.5 inches). I will be wanting to keep all of this dry, so it will be in a Sea to Summit 20L Ultra Sil Dry Sack. 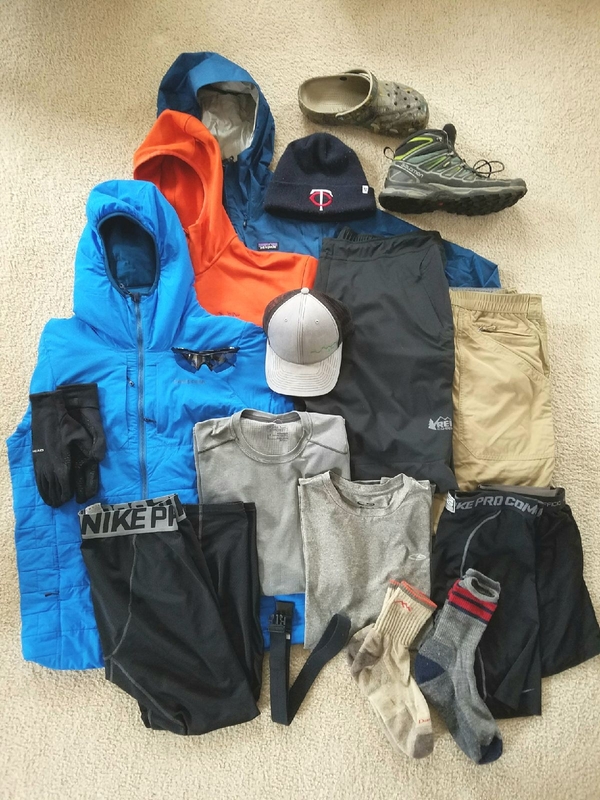 I always struggle with choosing the right clothing while out in the wilderness. This is what I have come up with. Rain Jacket – Patagonia Torentshell. Not as light as some of the others but it has withstood some pretty gnarly storms so far. Fleece – Arc’teryx Arenite Hoodie. Clearance rack at Sierra Trading Post. Full zip with hood. Base layer – Patagonia Capilene long sleeve and Champion (woooo, Target brand) short-sleeve shirt. Pants – L.L. Bean Zip-Off pants. Love these stylish pants/shorts! Two birds, one stone. Belt – Arcade Belt. L.L. pants belt wasn’t gonna make it 2,190 miles. Hat – Minnesota Twins winter hat (go tWINs) and Give’r trucker hat. Got this one years ago and still my go-to camping cap. Socks (two) – Darn Tough and Smartwool. Compression shorts/boxers – Pair of Nike compression and one ExOfficio boxers. Rain pants – REI Co-op Talusphere Rain Pants. Was so back and forth on these, but have a feeling they will be worth it. Gloves – lightweight running gloves. Thanks, TL kelsbdelz. Sunglasses – Oakleys. I got them back during baseball freshman year. Boots – Salomon X ultra mid 2 GTX. Really don’t like the 3s so luckily I was able to buy another pair of the 2s. Got a little bit of everything here. 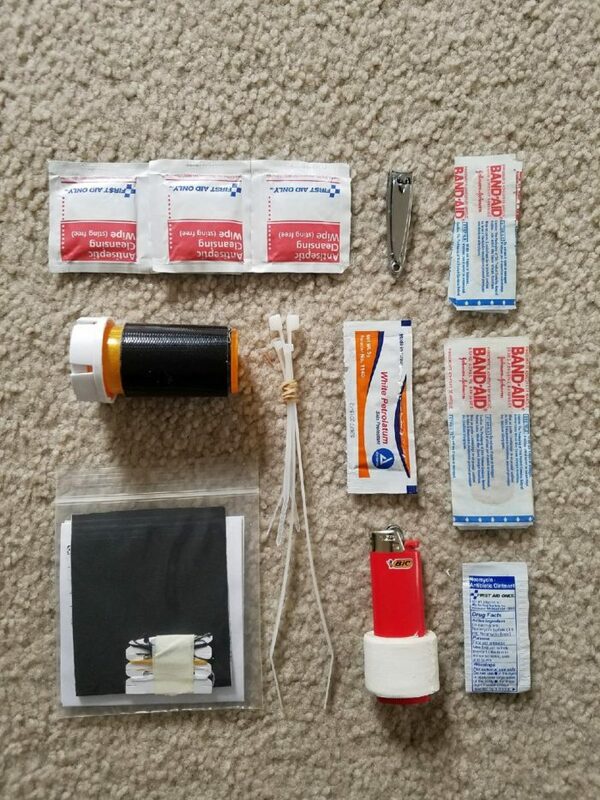 Have used the Sawyer Squeeze for a long time, and after a miserable trip trying to fill up those little Sawyer bags, decided it was not worth the hassle. 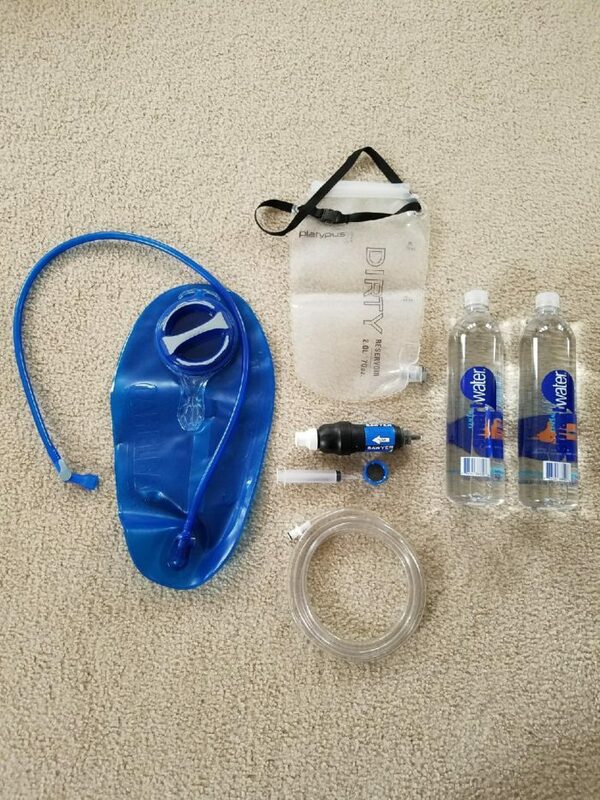 Just pieced together parts from different water kit brands to make a gravity filter. Have a dirty Platypus bag (2L), Camelback Crux 3L bladder (find this is best way to stay hydrated, so it’s worth the weight), hose piece from hardware store, SmartWater one-liter bottle. Snowpeak Giga Power Stove – Auto. MSR Titan Titanium Kettle. Something about this one I just really like. It is the perfect size for one- to two-person meals, and fits really well on top of my stove. Sea to Summit Spork. Everyone likes sporks. Contacts and allergies adding a ton of weight. Ugh. AWOL’s AT Guide. Got the loose-leaf version so that I don’t have to carry the whole thing. Phone – Galaxy S7. This puppy has multiple uses. 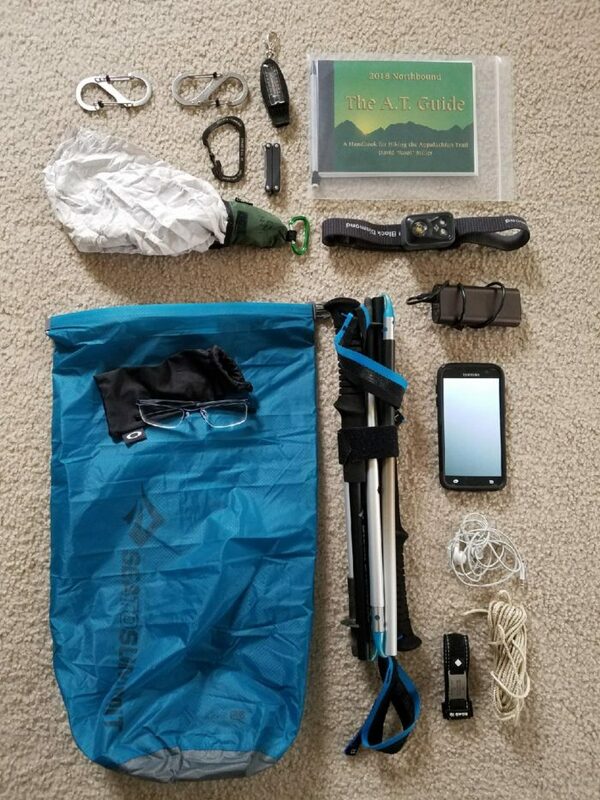 Trekking poles – Not gonna lie. I was a doubter for a while, but now I am a believer. Love em. Rope – Gotta hang that bear bag. Road iD – Cheers bro, this will keep ma happy! Carabiners – Ya just never know. Handy. Whistle, thermostat, compass. Three in one, three birds, one stone. 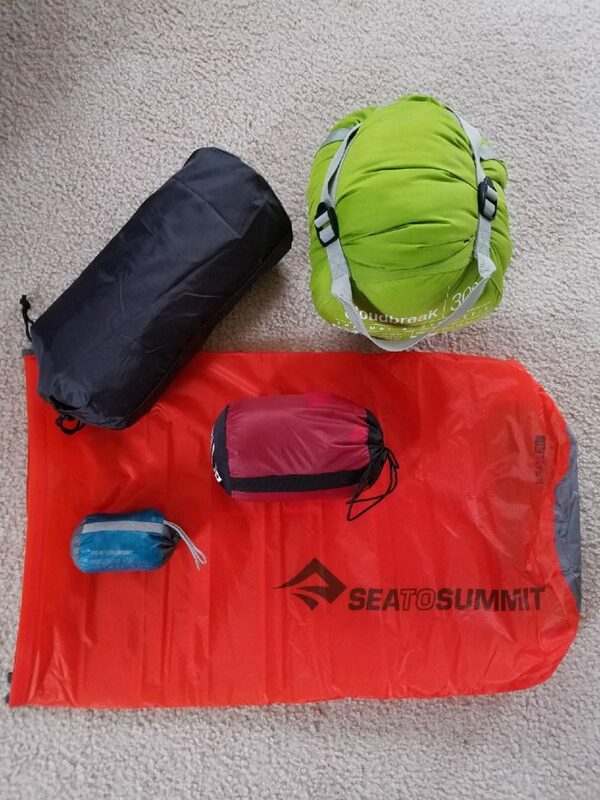 Sea to Summit Ultra Sil Dry Sack 13 L – I will probably keep my dry clothes and electronics in here. Towel – Handy as can be. So the goal is now to get this weight down, because adding food and water will only increase it. S/O to VML Colleen for taking the wonderful pics. Gracias.